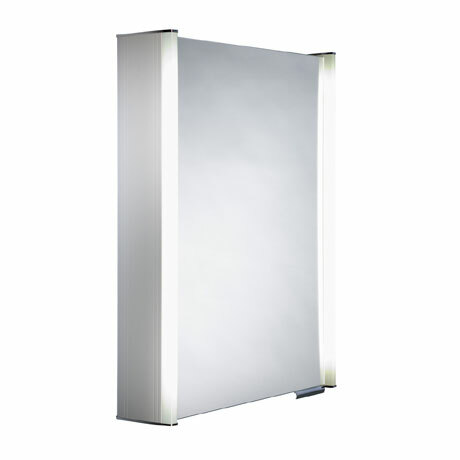 The sleek and luxury Latitude Illuminated Mirror Cabinet is complemented by the distinctive fluorescent lights either side of the cabinet. The stunning mirror cabinets features include an infrared no touch on/off switch to operate the lighting, shaver socket, soft closing double sided mirror door, adjustable glass shelves and convenient removable base trays. Mirror cabinets provide a great alternative to a mirror when you need additional storage space.